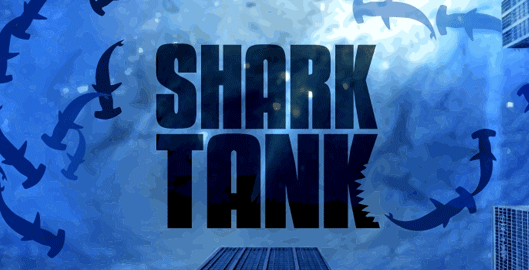 I’m a huge fan of Shark Tank (and the Canadian version called Dragon’s Den). Apart from the interesting product and business ideas, what I find more fascinating is the quality of the pitches. It’s clear that some people really have a clear vision of why their product exists — the promise to their customers — and how it delivers on that promise. But, every now and then, there’s a entrepreneur who simply cannot articulate their business or idea. I find this truly amazing!!! I’m sure part of it has to do with casting, and for entertainment value they need to have a few entrepreneurs who the sharks might just attack! But, there’s a lot that can be learned from these ill prepared individuals. In user experience, I always say that every great product begins with a great product story. That story should really be the byproduct of insights that you’ve established from carefully doing research, interviewing people, and gaining an intimate understanding of not just problems that people have, but why those problems exist, and why your solution could change the story of that problem in their life. A few weeks ago on Shark Tank two doctors presented their company called RoloDoc. You really have to watch the video to understand how unprepared the two doctors were. All the Sharks agreed that it was the worst pitch ever on the show. The problem I see with their business was that first, they didn’t have a specific customer. They seem to flounder between saying the customer is for doctors or patients. I understand both doctors and patients are using the product, but it was not clear who was the primary user — who’s problem they were solving. The second problem was that they had no clear use case. At one point, Mark Cuban asked the doctors to walk him through a scenario of someone using the product. The doctor’s answer was a series of buzz words such as social media and social network for doctors. Unfortunately, they focused on the what and the how of their product — the features and functionality — and not the story of how someone would actually use it in every day life. The last problem that stood out to me was that I couldn’t imagine how on the way to getting themselves on Shark Tank, none of their collaborators or colleagues challenged the idea or asked them questions like “why does this exist” and “what problem does this solve”. So either, their friends were being too nice to them, or they just froze on television and couldn’t articulate their idea. Either way, these are not excuses for failing to have a great product story! So learn from RoloDoc, and figure out your product story! Also, see what BusinessInsider had to say about the pitch by RoloDoc!